The enclosed security cart is the perfect choice when transporting sensitive items that need protection during shipment. 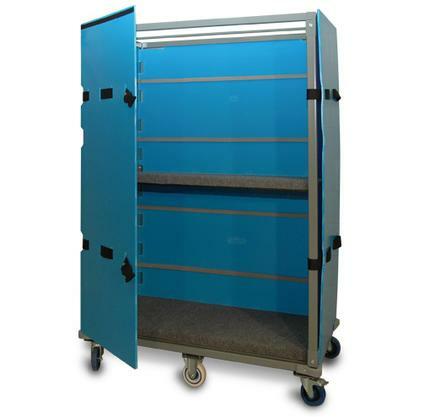 All of these carts are fully enclosed on all sides with a very strong plastic material, and foam strips are included to pad the inside walls where necessary. The (2) steel shelves included are carpeted for extra protection of items, and the doors on the front buckel together when closed and velcro to the side of the cart when open.